Birdwatchers will be happy with the return of our migrant birds. This weekend I heard Red-chested and Klaas’ Cuckoo and also saw Diederick’s Cuckoo, Greater Striped Swallow, Yellow-billed Kite and White Stork. On a trip to the Breede River, we saw 73 species in the Potberg area. Now, if only the weather would warm up a bit, we might actually believe that what the birds are telling us about the seasons is true! Please note that the outing in October has been changed from one along the Swartrivier road, to one at Jessie Walton’s farm in the Elgin Valley. It will be led by Mike. This is our stand which is wonderful. We have nests of all sizes and Mike Ford has been there helping to identify which nest belongs to which species. A huge thanks to Pat and Guy Redford who have designed the stand, made and decorated the stand and erected it. A thanks too to Vuyo who helps Guy. Please be sure to visit the Festival and visit our stand – you will be proud to be a member of the HBC. Again BIG thanks to the Redfords and to all who contributed nests and pictures! We have just launched our first project resulting from the BirdLife Overberg workshop presented earlier this month. It will be appreciated if all of you who find African Black Oystercatchers and White-fronted Plovers that are breeding or raising chicks along the Overstrand beaches report it with an email to birding@overberg.co.za Kindly also provide the GPS coordinates of the nest sites and ensure that the birds are not disturbed – do not go within 30 yards from the nests and keep dogs on leashes. Also consider forwarding this to all like-minded people or organisations that might be in a position to assist with this. We have posted an article with illustrations on what we are trying to achieve with this project at the link below. Kindly read this and assist us as far as you can. Our 18 October meeting will kick off with an early start at 6:15 pm, so as to give us time to honour the founder members of the club – those who were present when it was formed in October 1997 – and they will be presented with Certificates marking their twenty year commitment to the club. Faansie Peacock will be our guest speaker at the meeting which is at 7:00 pm. 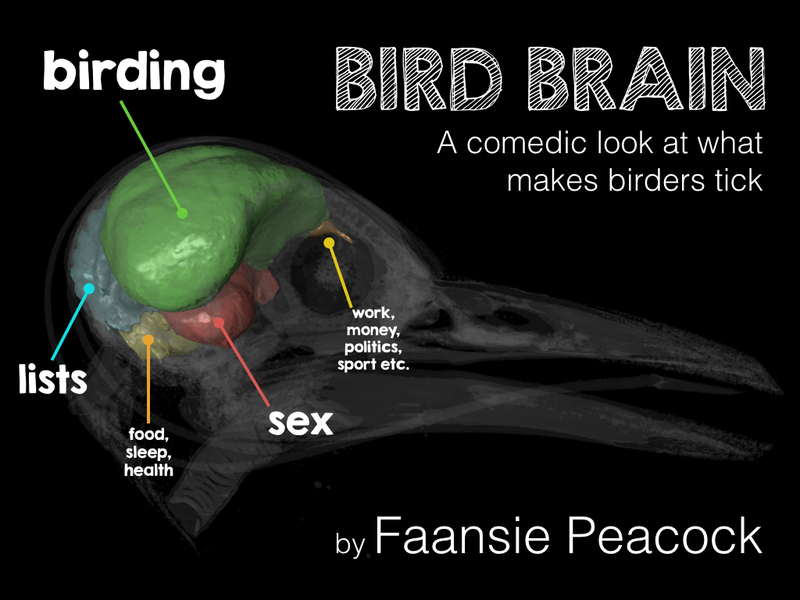 He will be presenting a comedic look at what makes a birder tick (no pun intended!). Little Ringed Plover – a mega-rarity! Vermont Pan has a habit of every so often producing an interesting rarity. Today (Monday) it was a Little Ringed Plover. I was playing golf this afternoon when Sheelagh phoned me to say she’d seen an email from Trevor Hardaker (Rare Birds News) alerting birders to the presence of a Little Ringed Plover at Vermont Pan. She had already seen it and was going back with her camera. So as soon as I’d finished my game, I shot off home to collect Sheelagh, my camera, and binos – no time for the 19th hole! Fortunately the bird was still there when we got to the Pan. On the South side in the rocks in the shallows, mixing with Three Banded Plovers-but quite distinctive, with a yellow eye ring and pinkish legs. A dozen or so birders in attendance, including Trevor and others from Cape Town. What makes this rarity interesting is that it is only the third sighting in Southern Africa, and the first in the Western Cape! It is normally resident in North Africa, Europe, and Asia. Often when we, in the Overstrand, hear of rarities, they are a long way off. But here we have one at Vermont Pan, right on our doorstep. No knowing how long it will stay, but certainly worth looking for. It was on the south side of the Pan, slightly west of that parking area. Please remember that we want lots of nests (but only abandoned ones) for our stand at the Fernkloof Flower Festival. Pat Redford will be constructing our stand and asks that you please bring them to the meeting on Wednesday evening (13 Sept at 5:30 pm). There is a good chance that the recent high winds will have caused some to be blown down, so it is an ideal time to see what you can find.